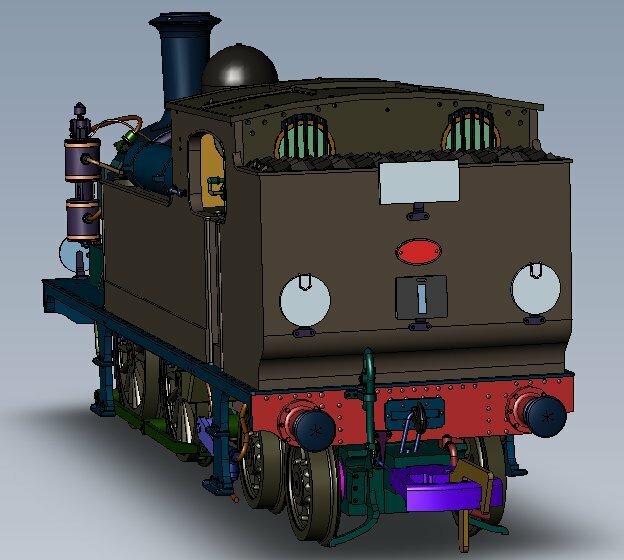 I am please to advise with Kernow Model Centre’s permission that the second set of CAD images have arrived from Dapol and Kernow Model Centre along with myself are now in the process of checking these. I am sure there will be further amendments to be made in due course. These Cads reflect the Isle of Wight extended bunker version also fitted with the Westinghouse air braking system used on the Island. 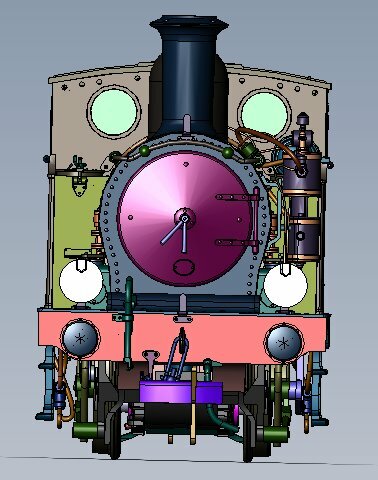 The mainland variant of the model, including the pull push fitted option will be worked on once this version is complete. 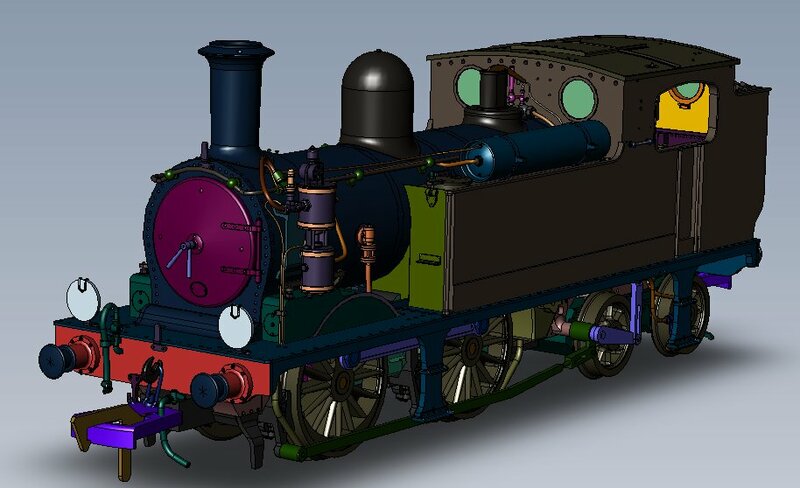 Further information about the O2 models from the Kernow Model Centre can be found here. The shovel that was inadvertently left on the water tank during the laser scan has been removed! The Engine Head Signal discs (often incorrectly referred to as headcode disks) will be separate fittings as they were with the Beattie Well Tank. The destination and duty number boards are shown for effect but will not be included on the completed model. Looking good Graham. Not long now. Hi Barry yes it’s nearly there still a number of corrections to be made.